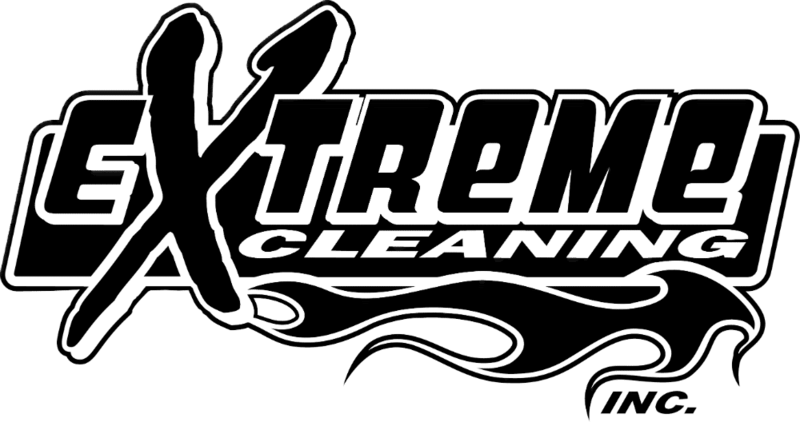 Welcome To Extreme Cleaning - Hood Cleaners in North Dakota! Best Hood Cleaners in North Dakota – Extreme Cleaning is a full service kitchen exhaust hood cleaning company that provides all the services you need for your commercial kitchen! We can help you improve the efficiency of your system, improve the air quality, and reduce the risk of fires with our comprehensive hood care services. Kitchen exhaust cleaning services are required by law in most cases, but in reality, they are a vital tool that protects your business, your employees, and your customers. Our teams use state-of-the-art equipment and the latest products to give you the most effective clean possible. When we’re finished, your kitchen hoods and exhaust system will be free of grease, smoke, soot, dust, food particles, and allergens for an indoor environment that is clean, safe, and odor-free. These hood cleaning services are all specially designed for the complex duct systems of commercial kitchens. We’ve had years of experience doing this specific type of cleaning, so we can determine the services that you need most and carry them out with 100% satisfaction every time. Our kitchen hood, filter, and exhaust cleaning can reveal the bare metal beneath all that grease buildup – a task that many owners and managers don’t believe is possible until they’ve seen it with their own eyes. Once you see how powerful and effective our cleaning services can be, you’ll be convinced that Extreme Cleaning is the only exhaust cleaning company that you’ll ever need. A complete commercial kitchen hood cleaning will remove the grease and other debris from the inside of your kitchen hood all the way to the roof exhaust vent. We’ll clear the system of anything that may make your kitchen smell musty or stale, and we’ll reduce the risk that a fire could break out in your commercial kitchen. We can give you the most attentive and complete service of any local or non-local exhaust cleaning company, and our customer service is unbeatable as well. Choosing Extreme Cleaning is choosing to put your commercial kitchen in the very best hands! Extreme Cleaning kitchen exhaust hood cleaners are everything you’d expect and a whole lot more! We are certified specialists who can remove all the grease dirt, and grime from your kitchen exhaust system. Our teams are thorough in their pursuit of giving each customer the cleaning that they expect. When we’re finished, you won’t even recognize your exhaust hood system because it will look brand new again, inside and out! There are several things that make Extreme Cleaning the kitchen exhaust hood cleaners you want. One of the key ingredients to our success is our people. Besides being exhaustive in their efforts, they are also a genuinely honest and hardworking staff that is dedicated to serving local businesses with pride. We couldn’t be the standout company that we are without these people, and we’re so proud to have them on our team! Kitchen exhaust hood cleaners should be able to give you a deep clean that reveals the bare metal below. If you want real results like these, you have to work with a company that can guarantee your satisfaction. Extreme Cleaning works with all types of commercial and industrial properties, and we have delivered spectacular results time and time again! 1. Your kitchen will be safer. You will have a reduced risk of kitchen fires when your restaurant hoods are cleaned on a regular basis, plus, you’ll see a reduction of air hazards such as dust, smoke, and allergens that can make your employees and customers sick. A safe, clean restaurant is one that stays in business for a long time! 2. Your equipment will run better. The machines in your kitchen will work more efficiently and require fewer repairs if they are not clogged with grease and dust. An effective kitchen hood and ventilation system will remove these particles, but remember that it, too, can have decreased efficiency if it isn’t kept clean. Schedule your routine hood cleaning services with Dakota Hood Cleaning so you’ll never put your equipment at risk of decreased efficiency. 3. Your kitchen will be more professional. Keeping everything clean in your restaurant kitchen will remind your employees that they are working in a professional kitchen. This will instantly boost your kitchen’s productivity and the mood of employees while they are working. It will also give you a positive reputation in the industry. There are major benefits of having your commercial kitchen hood system professionally cleaned, and no one knows that better than Extreme Cleaning! When you own a restaurant or some other establishment with a commercial kitchen, you need to understand the hood cleaning process thoroughly so you can be sure that it’s being done correctly. This important to for your business in more ways than one. When you choose Extreme Cleaning, we follow the same tried-and-true process for each customer so that nothing is left to chance. First, we cover all surfaces in the kitchen in order to protect them from products and grease that is removed from the hood and ducts. Before we leave, we’ll give the entire kitchen a once-over to make sure we haven’t missed anything, and we’ll perform any clean-up that needs to be done. We’ll turn on any pilot lights or gas that was turned off for cleaning, and finally, we’ll apply your certification sticker so that you will pass a health or safety inspection. We take the best possible care of our customers, and part of that is making sure they fully understand the commercial hood cleaning process! Your kitchen hood and vent system needs to be professionally cleaned in order to comply with health regulations and to keep your commercial kitchen clean and safe. Extreme Cleaning is your source for all the kitchen hood cleaning services surrounding businesses need to be able to achieve all these objectives! Once your kitchen hood and exhaust system is clean, you’ll have a much lower risk of a fire breaking out in your facility. All that grease that is collected by the kitchen hood is safely stowed away in the air duct system until it is professionally removed. If it isn’t, everything caught in your duct work will become kindling for a kitchen fire. Not only does it make your kitchen a safer place to be, but kitchen hood cleaning can also help your kitchen exhaust system work more efficiently, which will also save you money on your energy costs. Only a trained, certified hood cleaning company like Extreme Cleaning should perform your professional cleaning services. An inexperienced team can damage your exhaust system and require you to spend hundreds or even thousands in repairs or replacements, so make sure that you ask all the relevant questions to determine if your company of choice is qualified to provide the services you need. Ask for references as well to determine their level of customer service. When you’ve done all the research, you’ll find that few companies are as committed to providing the best kitchen hood cleaning services possible at reasonable prices and with excellent customer service. It’s no wonder that customers come back to us again and again! Let us help you minimize your risk of a fire in your commercial kitchen while improving the air quality and the efficiency of your kitchen exhaust system! #1 Commercial Vent Hood Cleaner in the Dakotas!